Carbohydrates play in weight to play a greater role than first assumed. They are an energy supplier, training with weights possible. Therefore you should make sure that the carbohydrate storage before the training session is filled. Z. b. Noodles approximately 4-5 hours before the strength to eat. You feel during or before training tired, so you can take the form of carbohydrate energy bars (simple sugars) on standby. This achieves a performance boost, but not over a long period is maintained. After training, the storage carbohydrate be refilled, but you should make sure that the human body superfluous converts carbohydrates into fat. The protein / protein is responsible for the development of musculature. Without protein / protein will not build muscle. The daily demand during muscle training is approximately 2 - 2.5 grams per kilogram of body weight per day. This need should be in addition to animal products (meat / fish) in the form of protein shakes, because they do not contain byproducts such as fats or dietary substances. The intake of protein according to the training, you should make sure that the daily demand is not exceeded. A high fat diet during weight training should in any case be avoided, because the body weight at no grease burns. A positive side effect of muscle training, however, is that the increase of muscle mass of the body also burns more fat because of the basic sales increased. 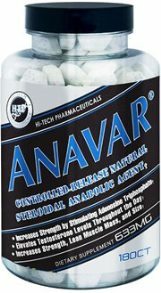 When creatine (creatine monohydrate, creatine, engl. Creatine) is an intermediate product of energy metabolism. Creatine is formed in the liver and kidney from the amino acids glycine and arginine. In-built muscle creatine increased the hypoglykämische insulin action and thereby increases the intake of sugar in the muscle. 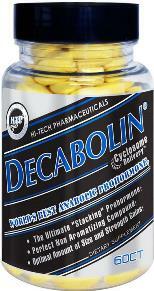 By creatine is adenosine triphosphate (ATP) synthesized, which is the muscle with energy. Due to an increased level of ATP, the muscles over a longer period of time to perform, no - as would usually be the case - through increased lactate values übersäuern. The daily creatine needs for "normal" load is approximately 2 g / d, while the body is about half of them even synthetisert and the rest of the food (see natural sources) to be included. As the name suggests bodybuilding, this is a form of physical modeling techniques through targeted training to build muscle and strict control of food intake. The primary goal is not to force growth, but the definition of Muskelamasseaufbau and muscle mass through training and intensive drainage of the muscles. Through the use of high weights and maximum intensity are injuries in bodybuilding is not uncommon. In organized sports competition is taking performance-enhancing drugs, as in other competitive sports is prohibited.